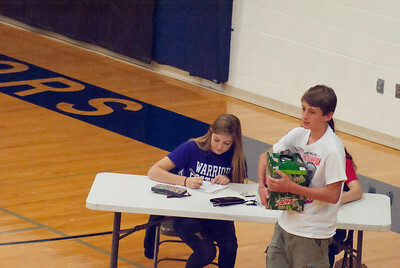 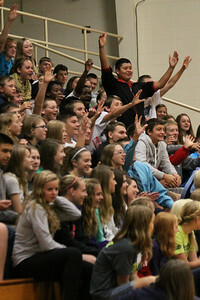 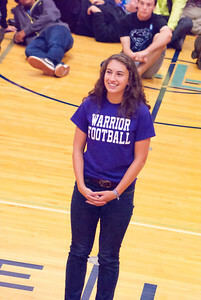 Warriors prepare for a week of Homecoming activities by "selling off" seniors to raise funds for Homecoming. 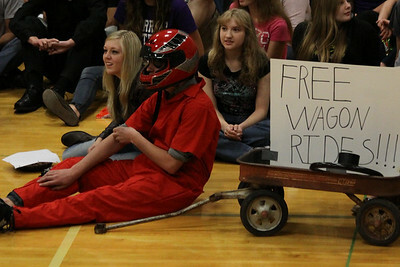 Any student can bid up to $25 to have a "senior friend" on Monday of Homecoming week. 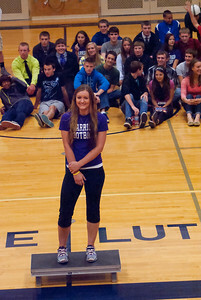 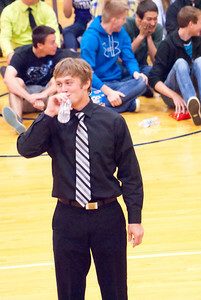 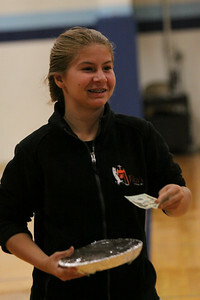 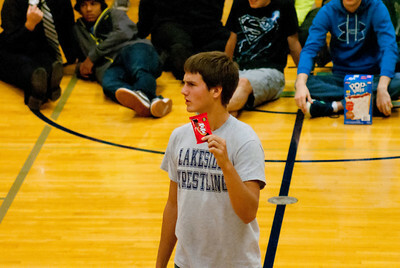 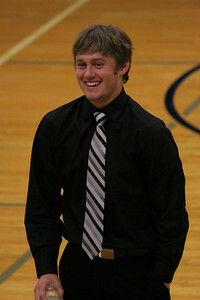 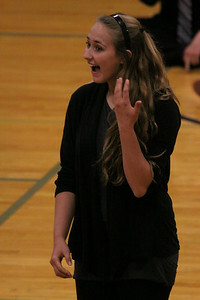 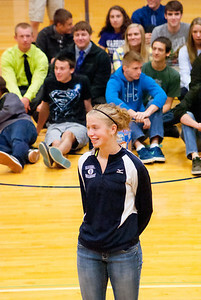 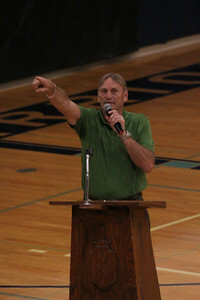 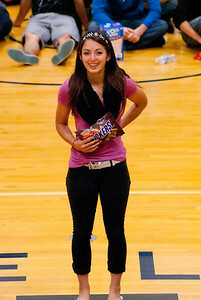 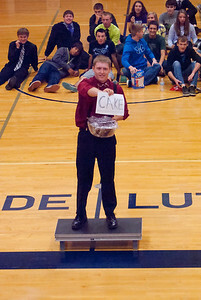 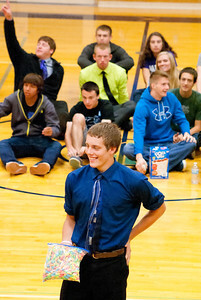 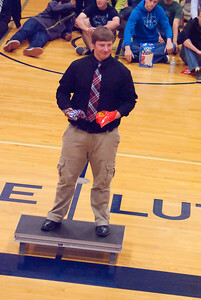 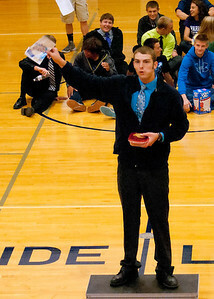 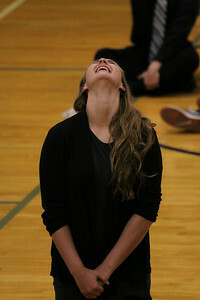 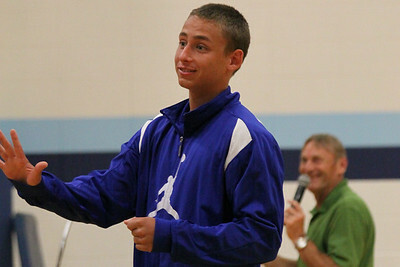 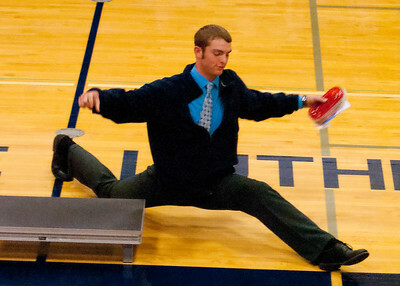 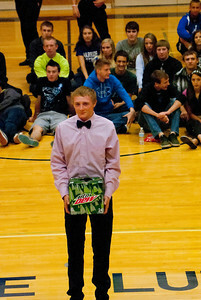 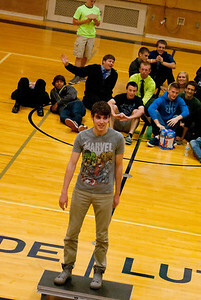 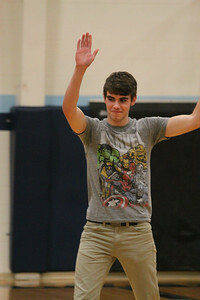 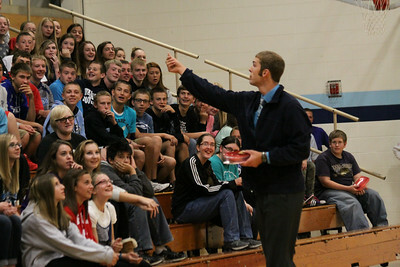 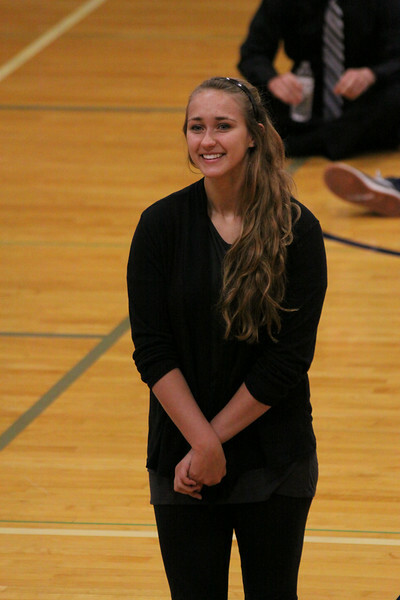 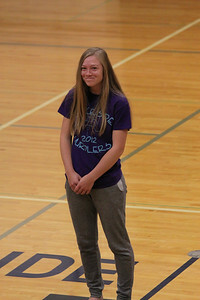 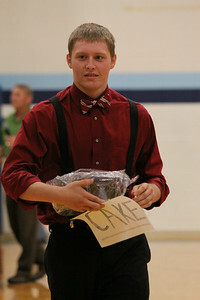 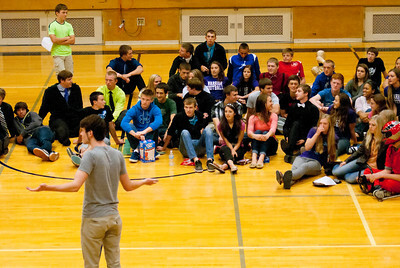 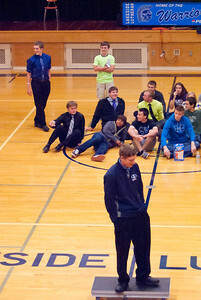 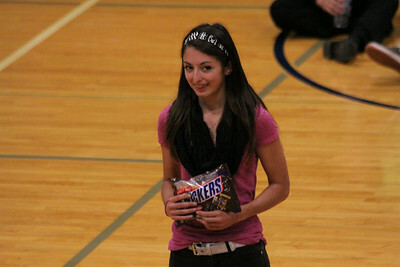 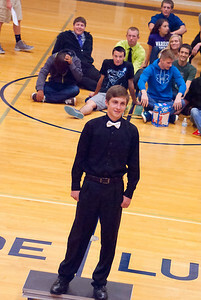 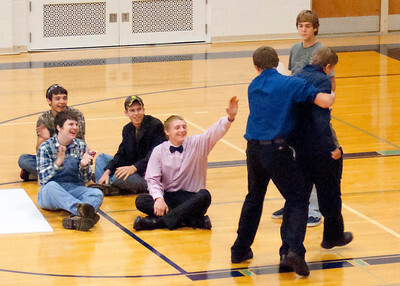 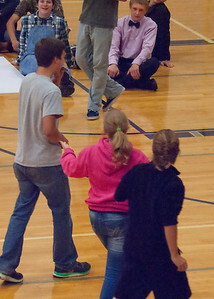 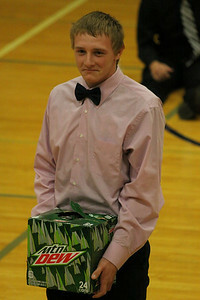 Seniors often try to bribe the assembly with "extra goodies" such as food or acrobatics. 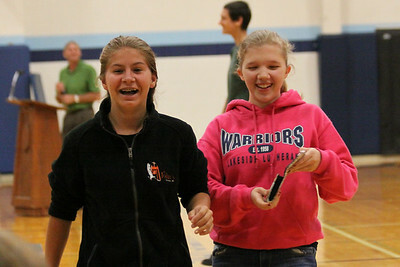 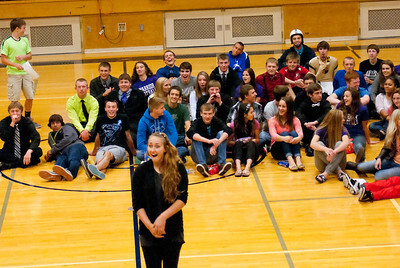 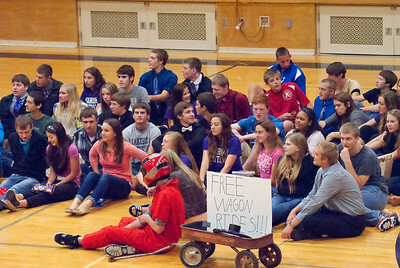 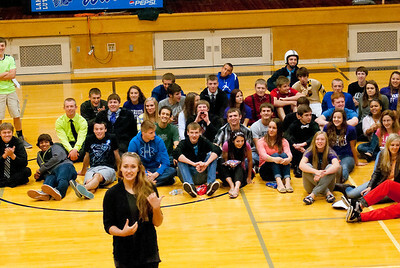 All in good fun, of course -- no seniors were hurt in the making of this auction.